The village of Casares is located in the mountains at just 10 km from the beach in Andalusia, Spain. In the stunning natural setting around the village, you will find the exclusive villa area of El Jaral. El Jaral counts with 16 very privately located exclusive villas, all with spectacular sea and Africa views. A true paradise! 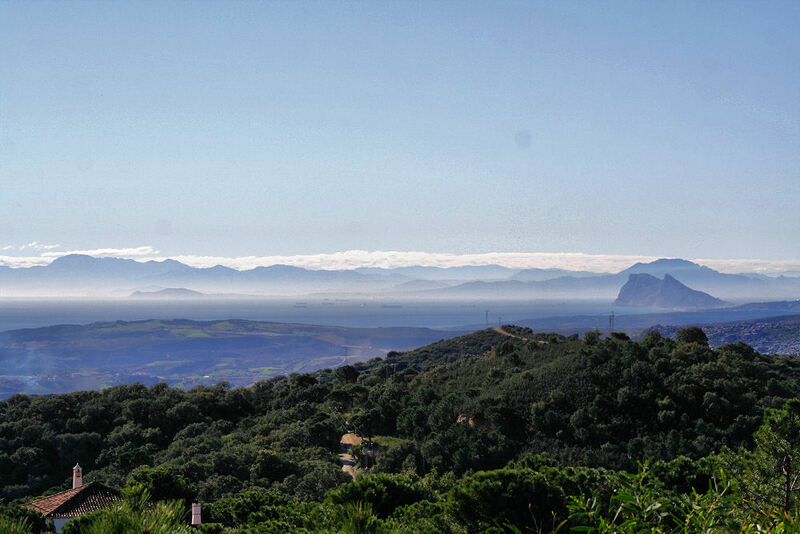 The village of Casares is surrounded by two natural reserves, the Sierra Crestellina and the Sierra Bermeja. The rural urbanization of El Jaral, Casares is located on the foot of these parks, featuring a breathtaking natural beauty. Every villa in this area is unique, with a different vibe and architecture. Yet the one thing they have in common is the way they all take advantage of the amazing views. The houses are surrounded by pine, cork oak and olives and in spring the wild rose (Jara) covers the area in a sweet-smelling white blanket. Sitting on your terrace, day or night you will be caught by the spectacular views. 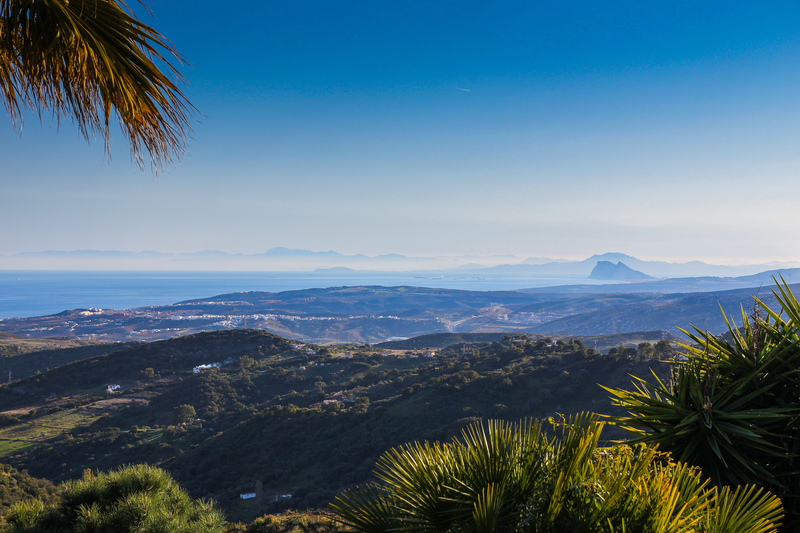 Overlooking the bay of Gibraltar and the Atlas mountains and the entire coastline you will feel king of the world. At night you see the lighthouse of Ceuta and the lights of various ships passing by or resting in the bay. It is rare to find an area so close to the coast offering this tranquil setting. Impressive eagles and vultures can be spotted regularly as are foxes, wild boar and even deer now and then. Tracks for hiking, biking or horse back riding start from your doorstep! All this at only a 10-minute drive from the beach and the Finca Cortesin. Nearly half of the villas are lived in permanently. Some by families taking their kids to the international school in Sotogrande, others by pensioners enjoying Golf in either Casares, Marbella or Sotogrande. All these services are available within half an hours drive. The other half of the houses are used as a holiday retreat. By families who come over to spend the summer here or by busy city people who regularly book a long weekend to charge the batteries in this fabulous environment. El Jaral is truly one of a kind area! 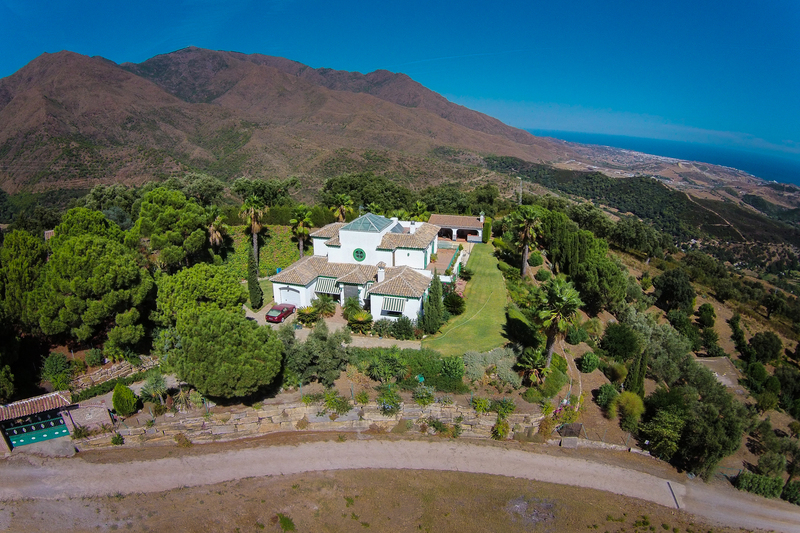 For more information about the properties we have for sale in this area or any other area of Andalusia, contact us via email: info@villasfincas.com or by phone +34 952 895 139.